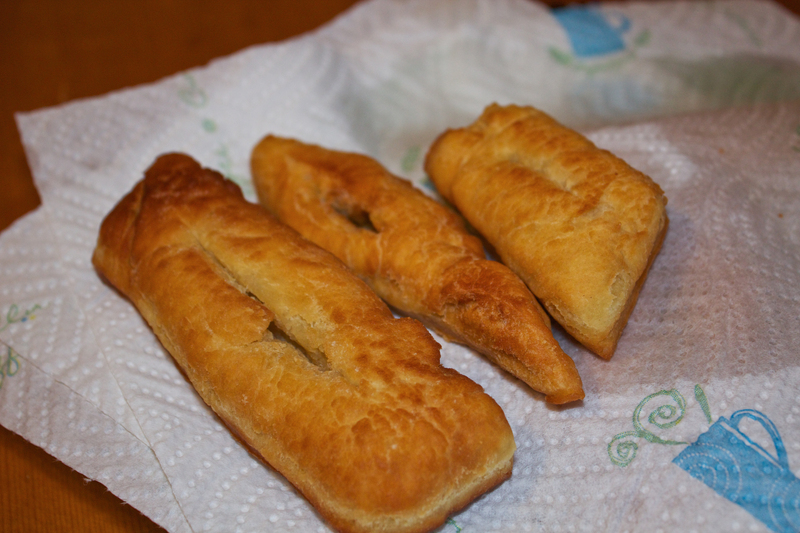 My Heritage: Chippewa/Ojibwe Fry Bread Recipe! Enough cooking oil to be 1/2 in. 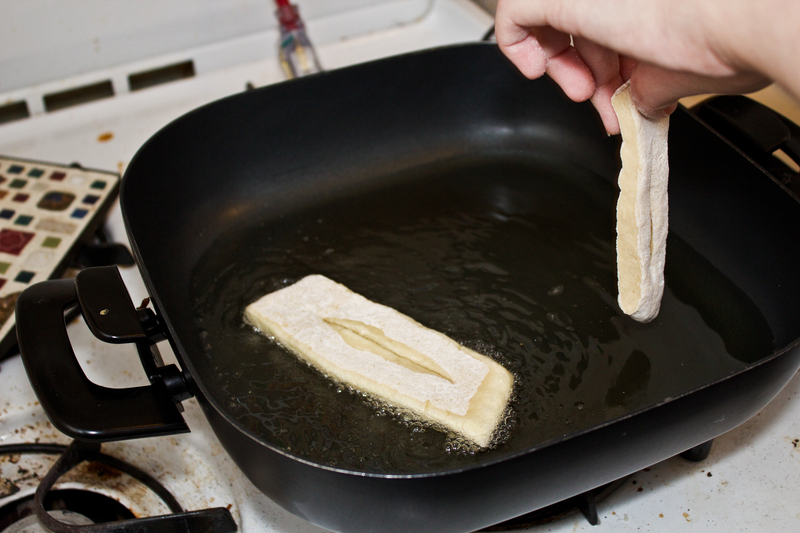 deep in whatever sized skillet you are using to fry the bread. 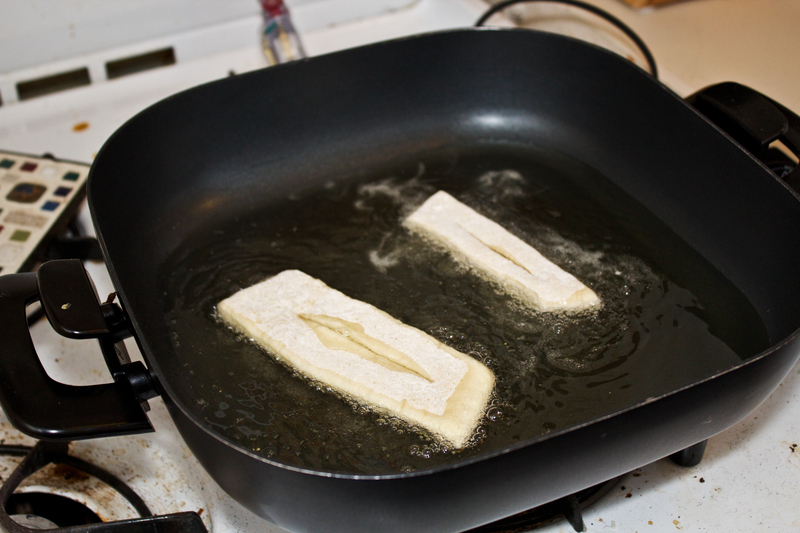 We used an electric skillet and vegetable oil to fry them (I suspect that frying them in coconut oil would be tasty, too) so I started by filling it a 1/2 inch deep with oil and turning it to 400 degrees. Mix dry ingredients together well in a medium sized bowl. Beat egg separately and add to dry ingredients. Heat milk for 45 sec to a minute in the microwave and add slowly to the mixture. 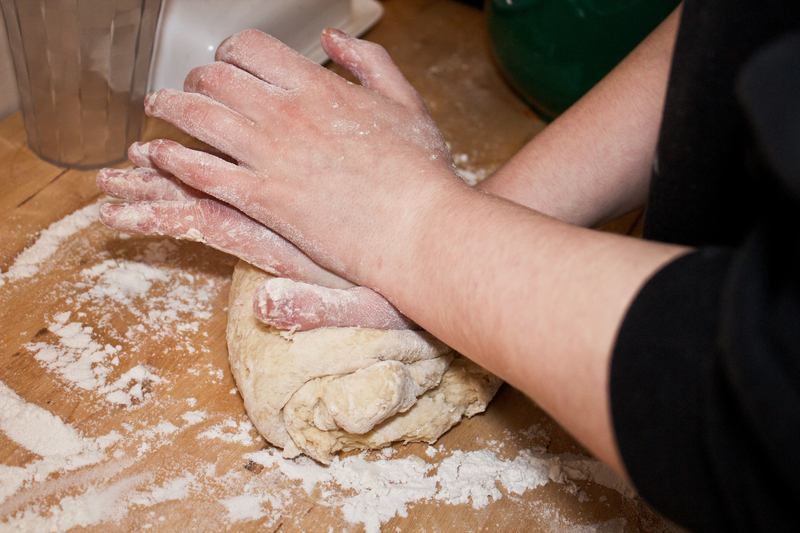 Begin kneading in the bowl and once it seems a little more uniform, turn it out onto your “flour’d” kneading surface and knead for a minute or two. 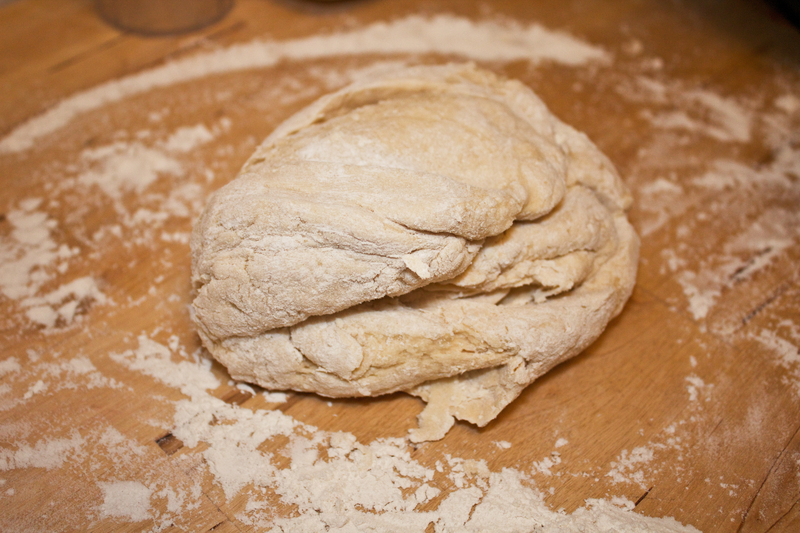 Role the dough out until it is (ideally) 1/2 an inch thick. 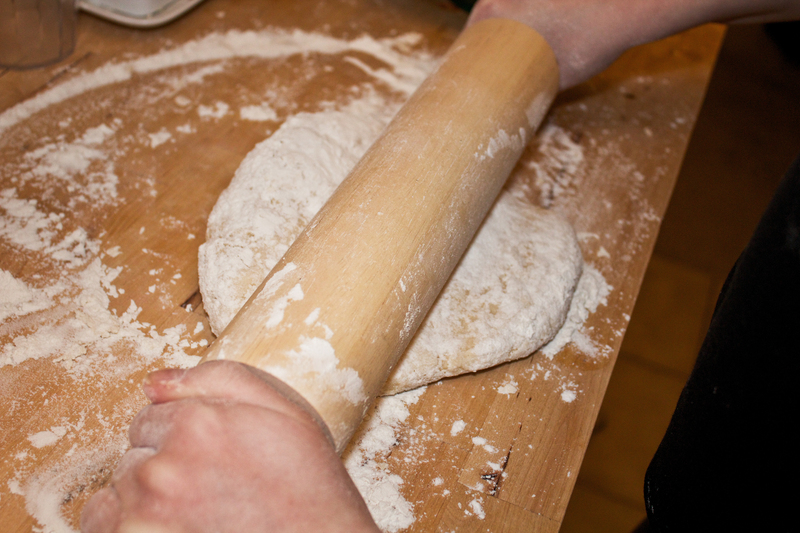 Ours was probably closer to 3/4 due to a crummy rolling pin, but they still cooked all the way through. 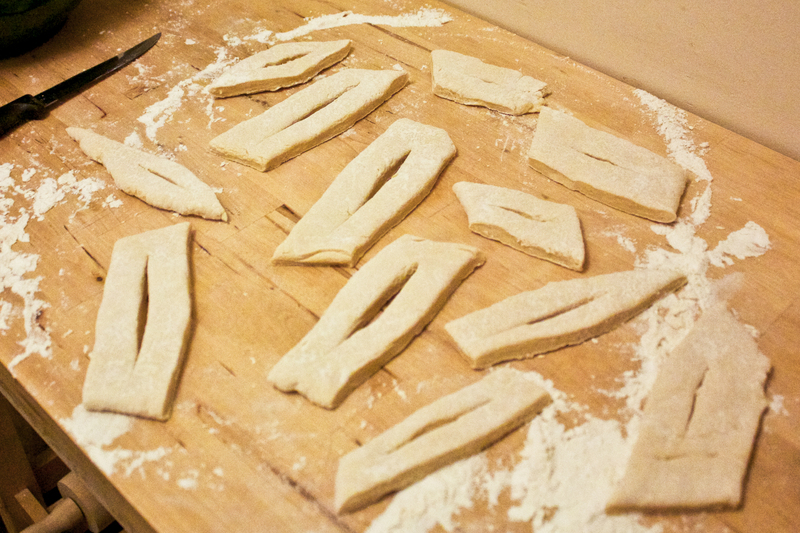 Once the dough is a uniform thickness, cut it into 2″ wide strips. A pizza cutter would be perfect for this, but we just used a steak knife. Then cut those strips into 3″ long pieces. You are then ready to fry your bread! 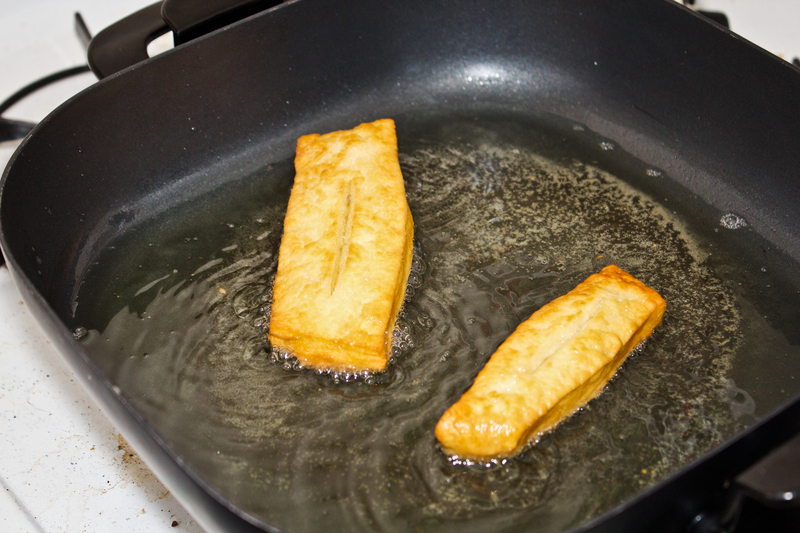 Place them in the oil carefully, and let them brown for a minute or two before turning and doing the same to the other side. Laura and I did two at a time so we could keep a better eye on them. Laura and I will be making more “heritage food” in the coming months, so expect more tasty posts! Heat the oven to 200 degrees. Line several baking sheets with tinfoil. Slice the bagels crosswise into 1/4-inch-thick rounds. Arrange the slices in a single layer on the baking sheets. Generously sprinkle the chips with equal amounts of the onion powder, garlic salt and seasoned salt. 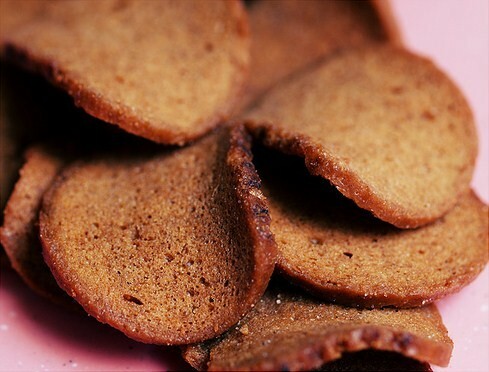 Bake until crisp and cracker-like, about 45 minutes. Store in a tightly covered container for up to a week. Pictures I've taken with my Canon T3i.